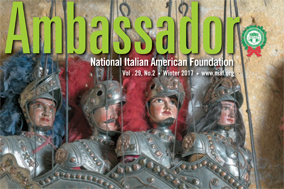 The National Italian American Foundation (NIAF), in conjunction with the Embassy of Italy, welcomes you to the online Italian Citizenship Questionnaire. 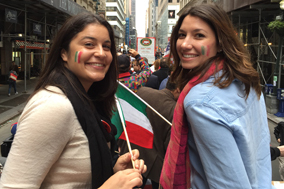 As you may have heard, some Italian Americans qualify for Italian Citizenship. It is our hope that this Questionnaire will facilitate your research and pursuit of this exciting possibility, Italian Citizenship. Some may ask, why pursue Italian Citizenship when United States Citizenship is so coveted? 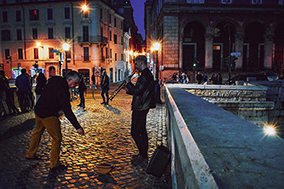 That depends on the individual, but here are some frequently mentioned reasons: Italy is one of the most beautiful and popular countries in the world, it has a lower cost of living than in the United States, business and capital ventures in Italy are facilitated by Italian Citizenship, and visiting, residing, and working in other European Union countries including France, England, Germany, Spain, Greece, Ireland, Sweden, Portugal, Austria, and the Netherlands is greatly facilitated though Italian Citizenship. Also, an Italian passport would allow an individual to travel as an EU citizen if so desired. Please read the Disclaimer Page very closely. 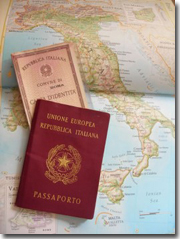 This Italian Citizenship Questionnaire is a FREE resource intended strictly for informational gathering purposes only. Complete your secure online questionnaire today! Don’t want to do it yourself? 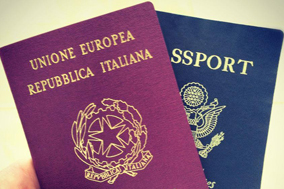 Contact NIAF’s exclusive dual citizenship partner – Your Italian Passport.